Today is the start of the 3rd annual 7 Days in May challenge week. 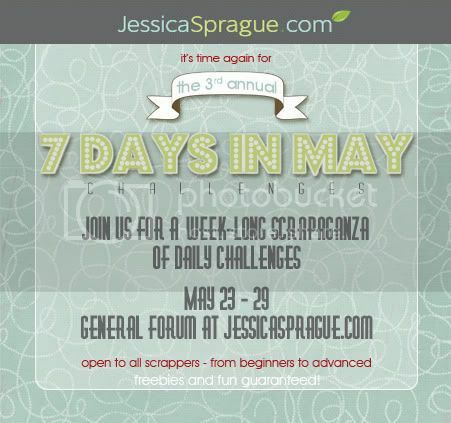 For seven days starting today we will be posting a challenge in the forums at JessicaSprague.com. Each day we will also include a freebie. So stop by and join us, why don't you?